Destiny 2’s Curse of Osiris expansion included a bugged laser weapon that’s so powerful it’s completely ruining the balance in the competitive Crucible. So of course, Xur is selling it today. 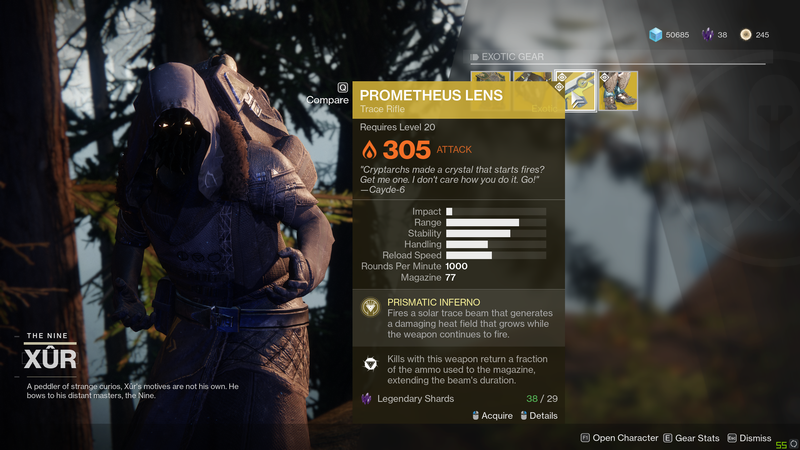 The Prometheus Lens, as it’s called, is normally a random drop. That means some players have it, but others are doomed to be fried by it with no real way to fight back. Bungie has already said it’s patching the hideously overpowered weapon next week, and apparently decided to balance the scales in the meantime by letting everyone have one.